Ask us about our very affordable preprogramming. We’ll do the technical work so you don’t have to! For more information on our financing options please visit our financing page. This easy to install midsize business telephone system comes equipped for up to 6 telephone numbers and up to 9 telephones with growth potential to 15 lines and 40 telephones. Features include Caller ID, music on hold, conference, intercom and speed dial. 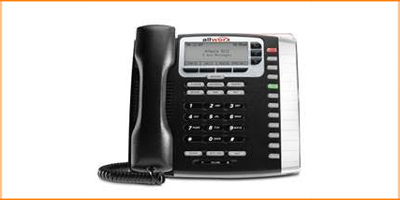 You can also add standard residential class cordless phones and have access to all lines plus intercom!